I used left over denim from making our denim picnic blanket. These are a great way to recycle old worn-out jeans. Coverstock is 100+ lb cardstock. 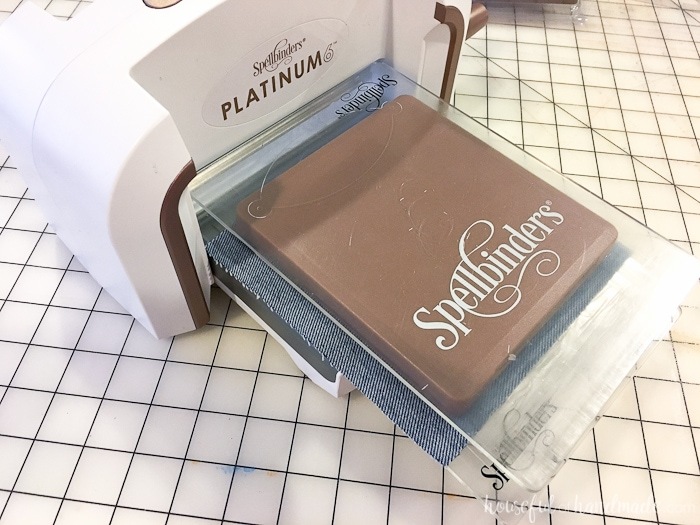 You could use regular cardstock, but it will not be as sturdy as the heavier coverstock. Gather your supplies. The steel rule dies can cut through thick materials like denim and felt (and even thicker materials like leather and metal). With your scraps of denim, build a cutting sandwich with a cutting plate, the denim, the die, then top it off with another cutting plate. Run it through your machine. 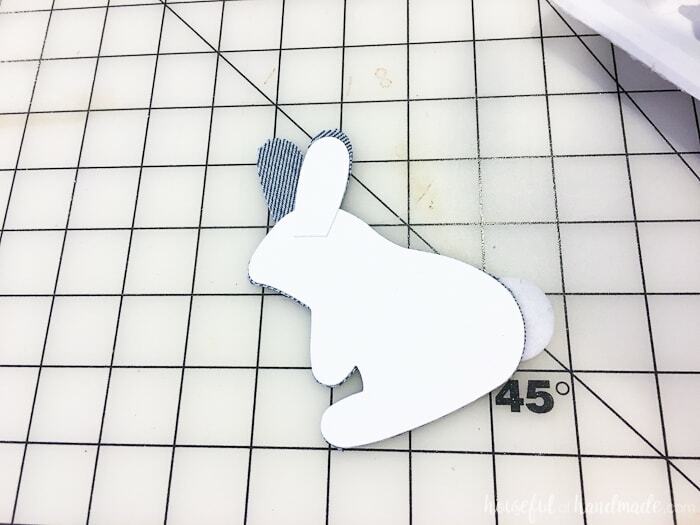 Cut the decorative pieces of the woodland creatures out of felt scraps. 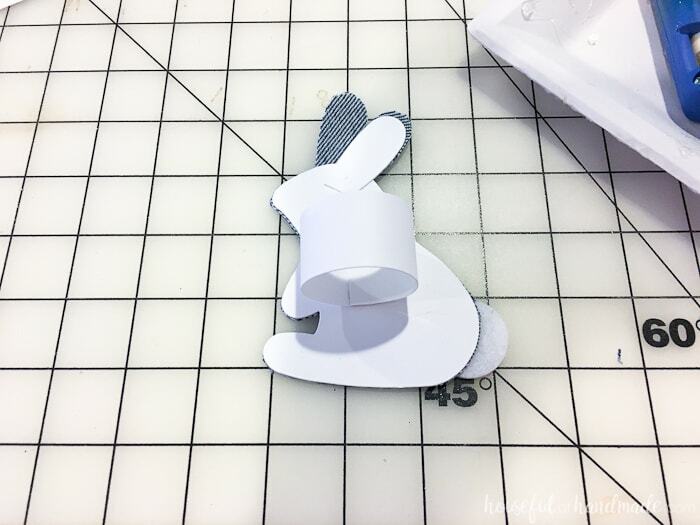 You can cut small pieces and lay them over just the parts you need cut instead of cutting the entire die. Build your sandwich the same as before and run it through the machine. 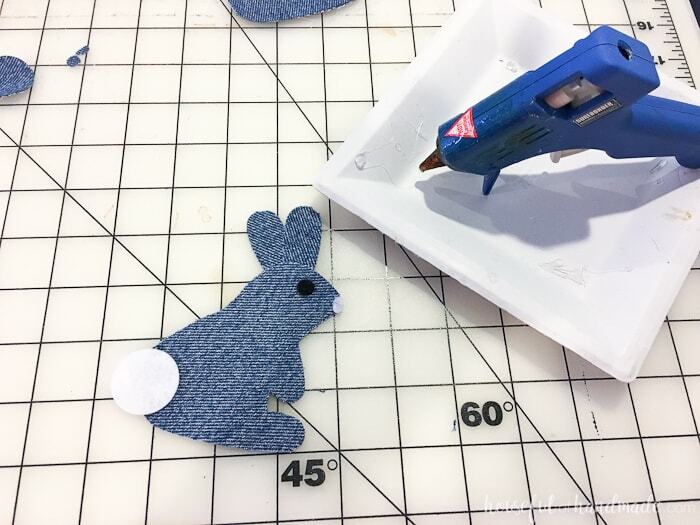 Use hot glue to glue the denim and felt pieces together. 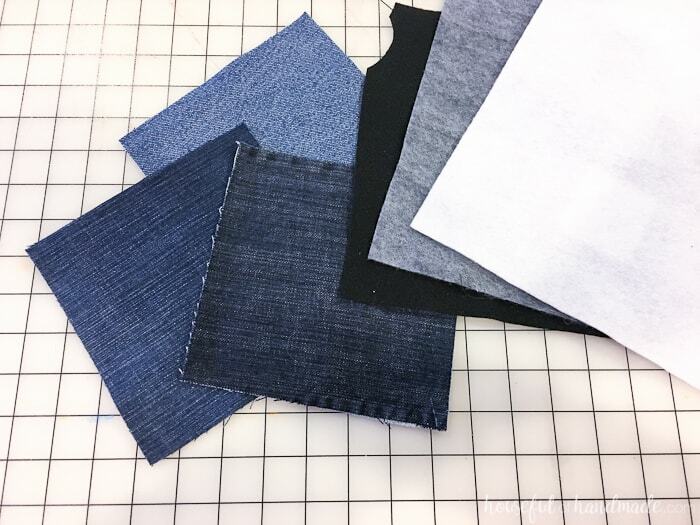 Cut the larger pieces of the die out with coverstock the same way you did the denim. 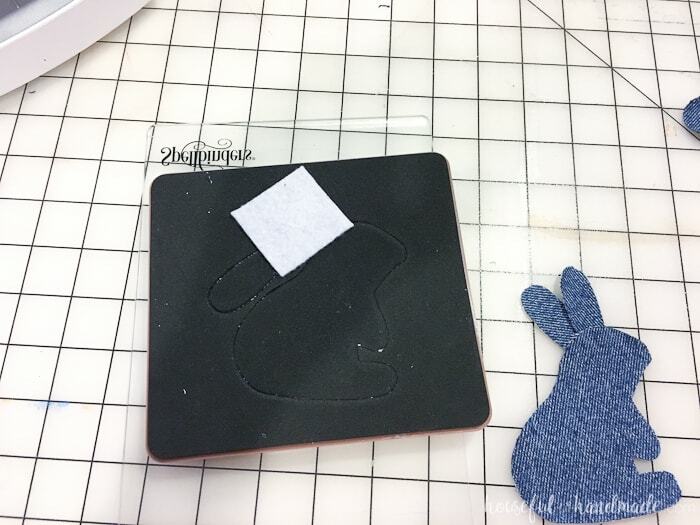 Using the spray adhesive, cover the back of the coverstock pieces with glue and then adhere to the back of the denim. 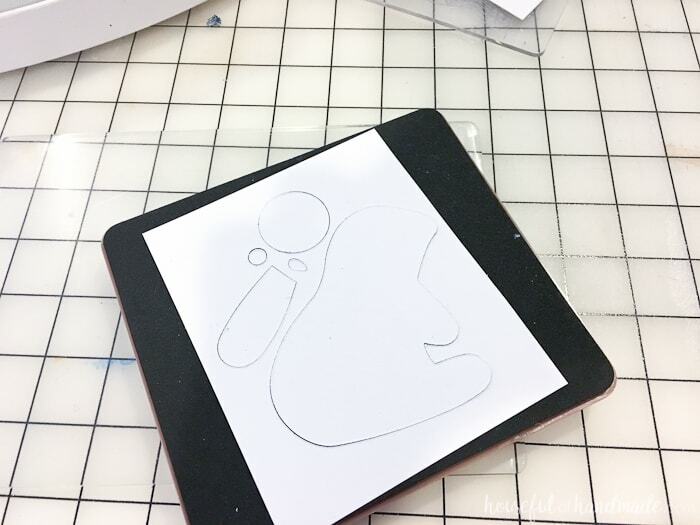 Cut a 1″ x 5″ piece of coverstock and roll in a circle. Glue to the ends together with hot glue. 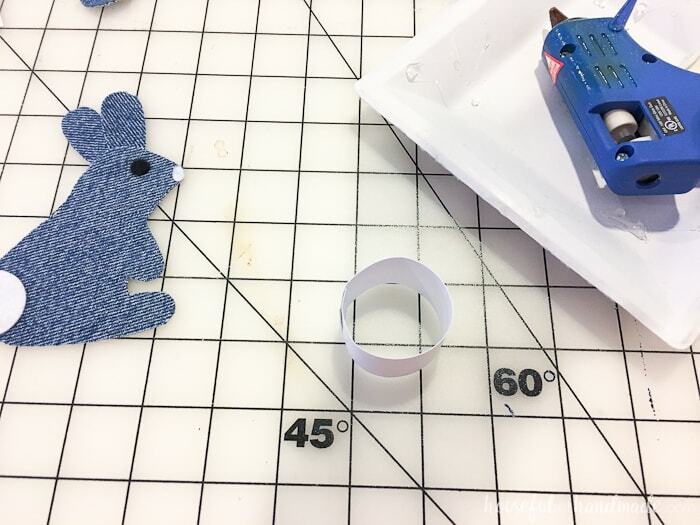 Glue the ring onto the back of the napkin ring. Now all that is left is to add your napkins and set the table! 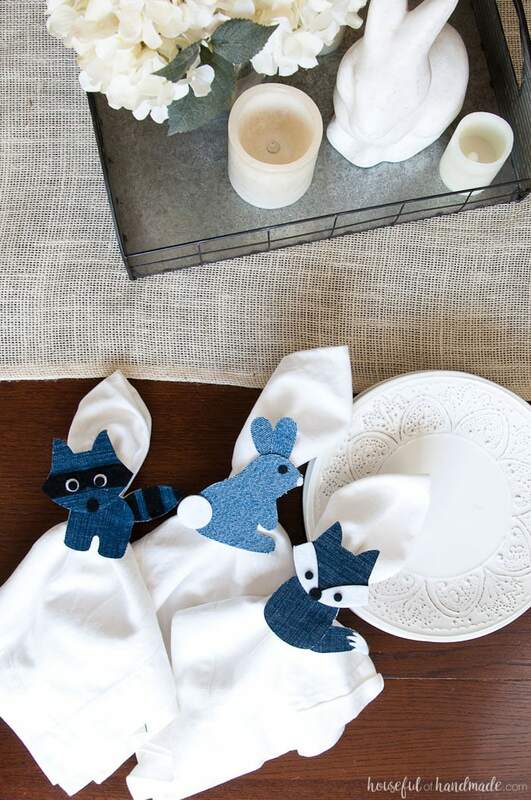 These fun whimsical spring napkin rings are perfect for an Easter brunch or spring party. What is your favorite woodland critter? I can’t decide, they are all so fun for spring! 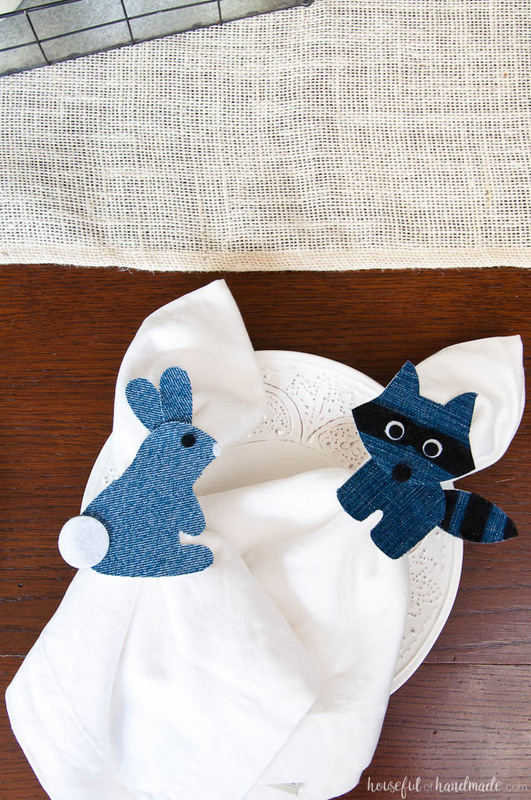 I can’t wait to use our woodland spring napkin rings. Let’s hope spring is here to stay!